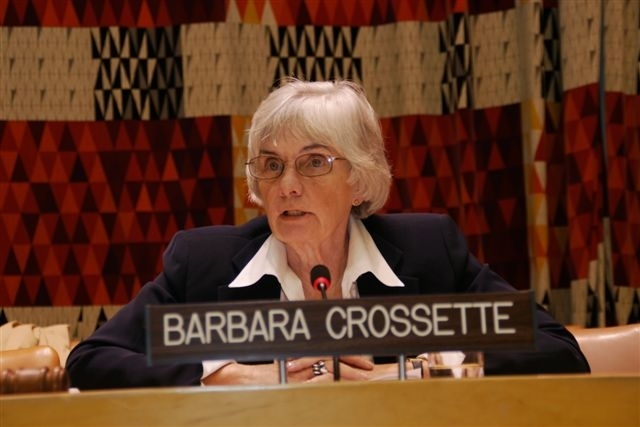 UNITED NATIONS, October 20 -- The lack of rigor of the Panel of Experts on war crimes in Sri Lanka appointed by UN Secretary General Ban Ki-moon is exemplified by the “soft launch” of their call for the submission of evidence. Days ago, Inner City Press was forwarded a copy of what seemed to be a UN Panel notice that evidence could be e-mailed until December 15. But the notice came from the comments section of a Sri Lankan website. An Internet search on the morning of October 20 found the notice on only one other website. So at the UN noon briefing on October 20 Inner City Press asked for confirmation that this obscure notice did in fact originate from Ban Ki-moon's Panel. Ban's acting Deputy Spokesman Farhan Haq read a prepared statement that yes, it was the Panel's notice. He refused to explain where it has been posted, and why it had been so quiet. This takes place as major human rights groups have declined to participate in the Sri Lankan government's own “Lessons Learnt” panel, and Sri Lankan minister of external affairs G.L. 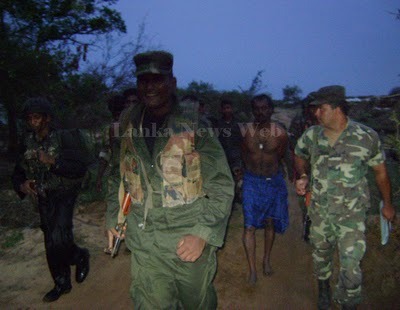 Peiris in turn calls the human rights groups “colonialist.” Meanwhile, new pictures portraying identifiable Sri Lankan military officers leading bound prisoners, and corpses on the ground, have emerged. If this and other evidence is submitted to Ban Ki-moon's stealth panel, what will they do with it? If a Panel meets in secret, and even downplays its own solicitation of submissions, what is the sound of one hand clapping? Watch this site. On 22 June 2010, the UN Secretary-General established a Panel of Experts to advise him on the issue of accountability with regard to alleged violations of international human rights and humanitarian law during the final stages of the conflict in Sri Lanka. The members of the Panel are Marzuki Darusman, Steven Ratner and Yasmin Sooka. The Panel officially began its work on 16 September 2010. The Panel will look into the modalities, applicable international standards and comparative experie nce with regard to accountability processes, taking into consideration the nature and scope of any alleged violations in Sri Lanka. The Panel advises the Secretary-General and is not an investigative or fact-finding body. 1. Organizations and individuals may make one written submission not exceeding ten pages, and must include the contact details for the author(s) of the submission. 2. The Panel will receive submissions until 15 December 2010. 3. Submissions may be sent to: panelofexpertsregistry@un.org. 4. Submissions made to the Panel of Experts will be treated as confidential.